Fears about loss of privacy and government abuse abound as India gears up to biometrically identify and number its 1.2 billion inhabitants. "The UID is soft infrastructure, much like mobile telephony, important to connect individuals to the broader economy," explains Nandan Nilekani, chairman of the UIDAI and listed in 2009 by Time magazine as among the world's 100 most influential people. Nilekani is a co-founder of the influential National Association of Software and Services Companies and, before this assignment, chief of Infosys Technologies, flagship of India's information technology (IT) sector. According to Nilekani, the UID will most benefit India's poor who, because they lack identity documentation, are ignored by service providers. "The UID number, with its 'anytime, anywhere' biometric authentication, addresses the problem of trust," argues Nilekani. But a group of prominent civil society organizations are running a Campaign For No-UID, explaining that it is a "deeply undemocratic and expensive exercise" that is "fraught with unforeseen consequences." Participants in the campaign include well-known human rights organizations such as the Alternative Law Forum, Citizen Action Forum, People's Union for Civil Liberties, Indian Social Action Forum, and the Center for Internet and Society. A meeting was organized by the campaigners in New Delhi on Aug. 25 where speakers ridiculed the idea of a 12-digit number, and said it is unlikely to rectify, for example, the massive corruption in the public distribution system that is supposed to provide food to poor families. J.T. 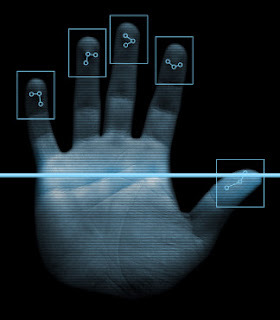 D'Souza, an IT expert, asserted at the meeting that the use of biometrics on such a massive scale has never been attempted before and is bound to be riddled with costly glitches. In talks and television interviews, Nilekani has maintained that the benefits of the UID project far outweigh its risks. "It's worth taking on the project and trying to mitigate the risks so that we get the outcomes we want," he told the CNN-IBN television channel in an interview. Usha Ramanathan, a prominent legal expert who is attached to the Center for the Study of Developing Societies in the national capital, does not buy the UIDAI's assurances. Ramanathan said that, taken to its logical limit, the UID project will make it impossible, in a couple of years, for an ordinary citizen to undertake a simple task such as traveling within the country without a UID number. And as a government website says: "Certain information collected under the NPR will be published in the local areas for public scrutiny and invitation of objections." Seeking to allay privacy fears, the website goes on to explain that this is merely "in the nature of the electoral roll or the telephone directory." Chidambaram said NATGRID would tap into 21 sets of databases that will be networked to achieve "quick, seamless and secure access to desired information for intelligence and enforcement agencies." He added that NATGRID will "identify those who must be watched, investigated, disabled and neutralized." "Internationally only a few countries have provided national ID cards because of the unsettled debate on privacy and civil liberties," says Prof. R. Ramakumar at the Tata Institute of Social Sciences in Mumbai. He added that several countries have had to withdraw ID card schemes or drop biometric aspects because of public opposition. Nilekani maintains that the main purpose of the UID project is to empower the vast numbers of excluded Indians. "For the poor this is a huge benefit because they have no identities, no birth certificates, degree certificates, driver's licences, passports or even addresses."